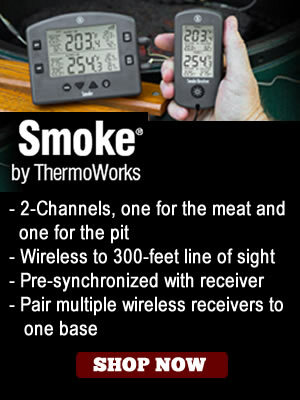 [spp-timestamp time=”6:44″] The sizing options and composition of Mojobricks Bar-B-Qubes make achieving predictable smoke levels easy, whether you’re competing on the circuit or grilling and smoking meats for family at home. 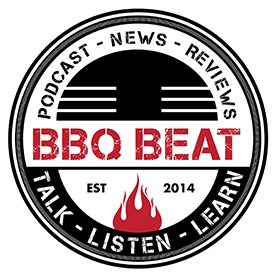 [spp-timestamp time=”13:40″] Moisture matters, and Fred explains that Mojobricks has the moisture levels of their different Bar-B-Qubes metered out to give you optimum smoke output and flavor. 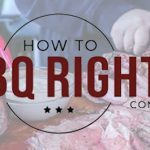 It’s a real pleasure to feature Fred Grosse, founder of Mojobricks.com and the maker of what are now his famous Mojobricks Bar-B-Qubes in this post. 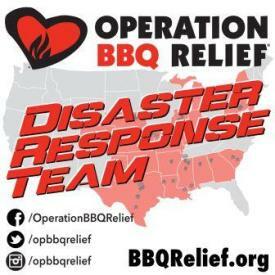 As you know, BBQBeat.com is all about promoting the good stuff in BBQ. Mojobricks Bar-B-Qubes represent something that’s great in BBQ. I’ve known about Mojobricks now for some time, and I even feature them in a pellet smoker review post I did some time ago. 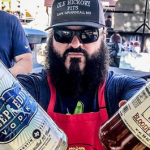 In that post, I mention that the Mojobricks Bar-B-Qubes have been and continue to be the chosen source of predictable wood smoke flavor for winning pitmasters including the likes of David Bouska of Butcher BBQ and the gentlemen who make up the Southern Krunk BBQ Society. Mojobricks is a company Fred Grosse started in 2008 when he was out of a job – more or less. He and his wife were looking into the home heating pellet marketplace and consulted with a guy by the name of Greg Brown. Under Brown’s guidance, Fred and his wife decided that instead of moving ahead with wood pellets, they’d set their sights on formulating wood bricks. 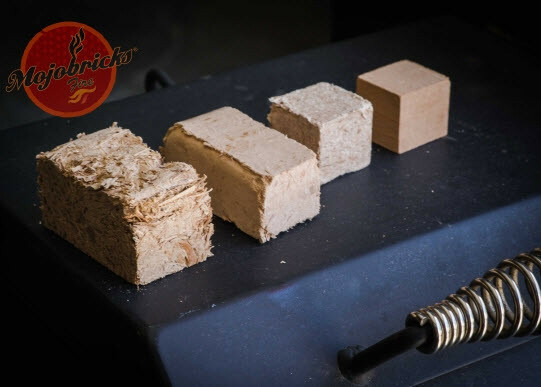 Being environmentally minded, the Grosses looked at making their wood bricks for home heating use out of things like coffee grounds, which would burn effectively – providing heat with a light eco-footprint. After collecting coffee grounds from places like Starbucks and local area coffee roasting houses, they “pelletized” them into bricks, and Fred’s wife suggested that they call the bricks “Mojobricks.” At this point they started selling the bricks for home heating use. Mojobricks are made by compressing wood shavings in molds using machines that apply immense amounts of pressure. This pressure – reaching as many 150 tons of force, causes the natural lignins found in the wood to function as an organic polymer that binds the bricks together. 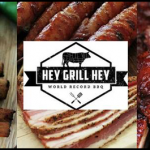 During the first four years that Fred and his wife were selling Mojobricks for home heating use, they paid attention to what was going on in the competition BBQ world. 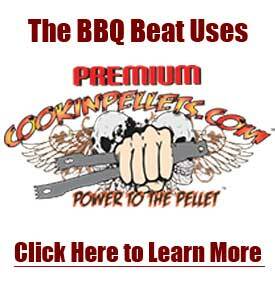 Pellets had become very popular as a fuel source, and Fred wondered if Mojobricks might fill a niche for folks who use traditional BBQ smokers but would enjoy using a pelletized wood product for smoke purposes. In 2012, Mojobricks moved into producing single species wood bricks to be used exclusively for producing clean and predictable amounts of wood smoke. 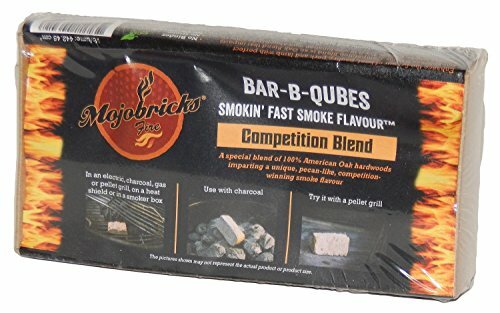 From day one of this new direction in marketing and production, Mojobricks single species and competition blend Bar-B-Qubes were designated for use by competition BBQ cook teams. The varieties of Mojobricks in production grew over time. Single species sourced maple was the first Bar-B-Qubes product on the market in 2012, with competition blended oak, cherry, mApple (maple with apple essence), and 100 percent sweet maple to follow. Be sure to shop around their site for other sizes, combo-packs, etc. Note: Apple and Pecan Mojobricks Bar-B-Qubes are on the way. So stay tuned! 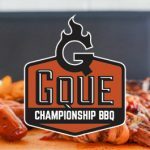 Among the first of these Bar-B-Qubes to be offered was the competition blend, which is a proprietary blend of different oak varieties. When Fred sent these competition blend bricks out to competitive cook teams to try, they loved them. One team reported back that when they used these competition blend Bar-B-Cubes, they give off a great smoke flavor and an aroma that smells a lot like pecan. “Our competitors love the competition blend because it burns clean, it burns slow, and it gives them a predictable amount and intensity of smoke they can county on every single time they use it,” says Fred. 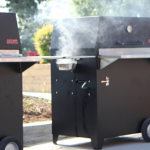 “To this very day, the Mojobricks Competition Blend Bar-B-Qubes remain our most popular product. 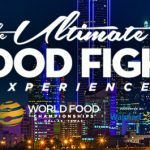 The evolution of Mojobricks Bar-B-Qubes from a “what they’re made of” perspective had a lot to do with the work Fred did directly with competition cook teams. So, it’s about flavor, but it’s also about timing. “When I cook a salmon fillet,” says Fred, “I use one Mojobricks ‘mini’ cube – there’s eight of them in a pack – and I just put it on my grill, and that’s all I have to do to get the perfect amount of smoke flavor. That’s every time I cook fillets. I know each time the smoke profile is going to be exactly the way I want it. Fred goes into some good detail toward the 29:00 mark in terms of what sizes of his products work best with different applications. So, be sure to listen there as well. Fred and Mojobricks put their money where their mouth is on the competition circuit. Again, variability in the size of wood chunks or splits used can make a huge difference from cook to cook. Obviously, the true professionals out there are able to account for this as they know what sizes of wood pieces they need to get the right amount of smoke. 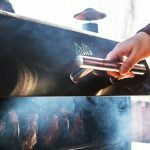 Mojobricks adds predictability into the mix to where you’re not having to account for the odd sized pieces or maybe even a knot or other imperfection in your wood products for which a pitmaster might not account. Will Mojobricks win over purists who will only use wood split into chunks by their own hand using their Grandpappy’s trusty hatchet? Of course not. No way.No how. 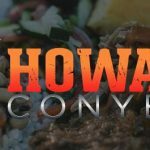 But, for competitors looking to weave a bit more predictability into the mix and still get great wood smoke flavor onto their meat, Mojobricks might just be the answer. This is especially true for pitmasters already using pellet grills, but want to change things up with their gravity feed or Ugly Drum Smoker cookers, too. 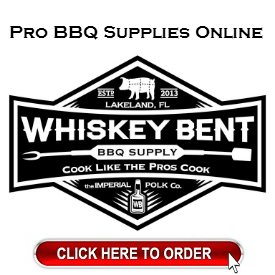 And like I said before – Mojobricks is the wood of choice for some teams doing big things in barbecue. You’ll recall I mentioned the Southern Krunk BBQ Society earlier? Those guys took 1st place in Ribs at the Jack using a blend of Mojobricks Competition Blend and Mojobricks Cherry. I really enjoyed talking with Fred Grosse about Mojobricks. 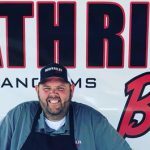 He’s clearly very passionate about the work he’s doing, and there’s a strong following that’s growing on the retail customer front as well as what continues to build on the professional BBQ circuit. 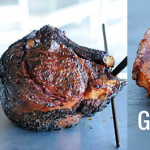 If you’re already cooking with a Weber kettle style grill, a pellet grill that needs a little extra smoke, or even a gas grill that you want to use and still get a real-wood smoke flavor with, definitely give Mojobricks Bar-B-Qubes a shot. Full disclosure, this post is in no way a paid deal on my end. I use Mojobricks regularly at home and love them. I think you will, too.